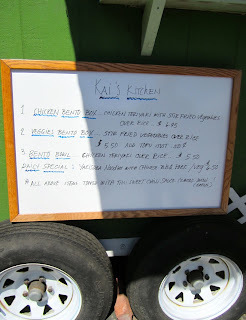 Today I visited Kai's Kitchen for lunch, and I'm a little embarrassed to admit it was my first time. I have often wondered about this lone, green food cart stationed at the NW corner of Moody & Bancroft. It always seemed an odd spot for a teriyaki stand, right at the exit to Macadam, and especially so when the foreign car dealer/shop was located in the same lot. 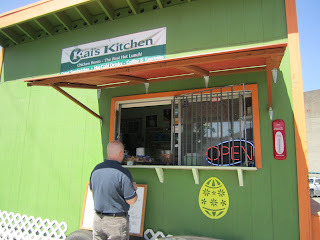 Kai's Kitchen is a hidden gem! Why did I wait? 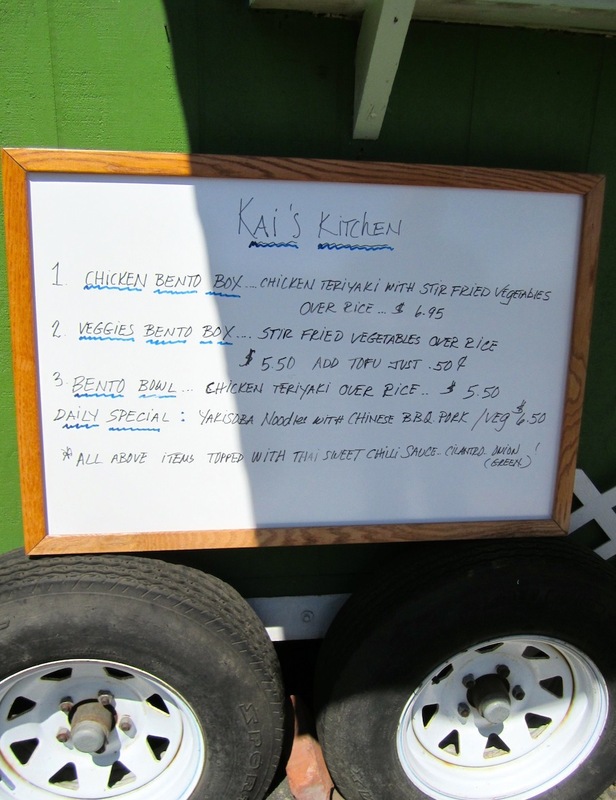 It turns out, Kai's Kitchen may be one of the longest running businesses in the neighborhood. Kai says she opened the stand over 10 years ago. At that time there were no high rises or OHSU CHH in the neighborhood, just some businesses in (what is now) the OHSU Research Administration offices & surrounding buildings. The spot was a good choice due to very affordable rent, although pretty isolated. She says her business has not really benefited from the growth of the South Waterfront yet, but I predict it is just a matter of time, as the older buildings are filling up again, new ones are popping up, and the word gets out. There are 4 items on the menu, including 3 standards and a daily special. 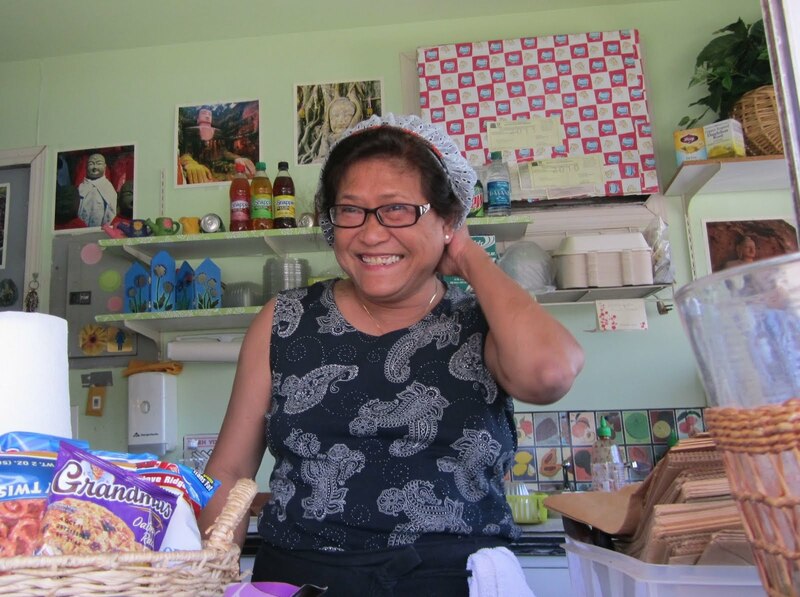 Kai's secret ingredient is her thai sweet chili sauce, used on all the dishes. I tried the chicken bento box. 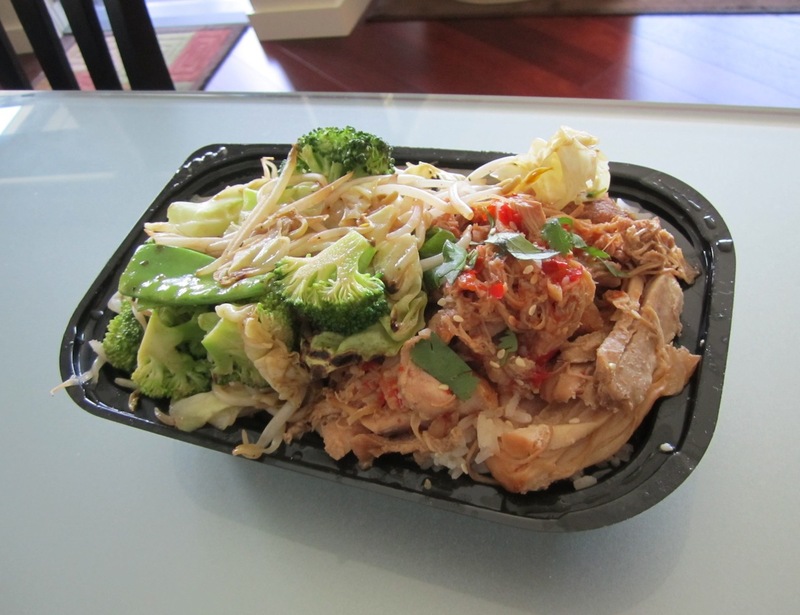 I thought the extra pop of the sweet chili sauce was perfect, and an order ($6.95) was enough for 2 lunches. That was one tasty bento box! I just moved to the neighborhood a month ago and drove by this stand for the first time yesterday! 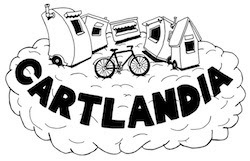 Glad to hear it's as good as it looks - I'll have to go check it out! Thanks for the tip! Do you happen to know if it's open on weekends? Hi Sarah! Welcome to the neighborhood!